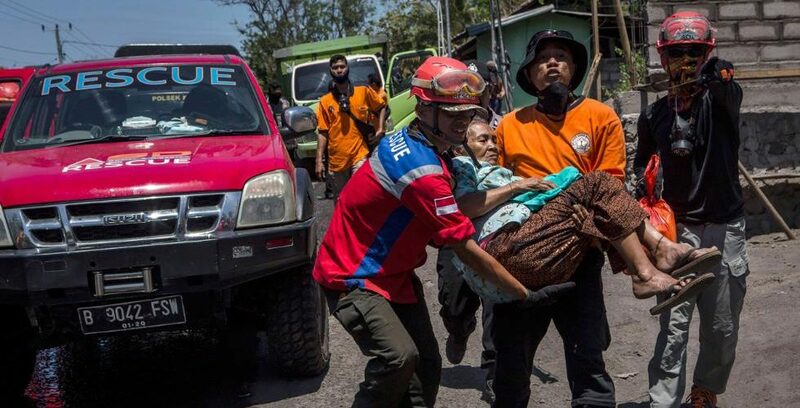 Thousands in Bali flee ahead of what officials are calling a dramatic increase in seismic activity, signaling an “imminent” eruption. “I would definitely be following the advice to stay outside the exclusion zone,” Heather Handley, an assistant Earth sciences professor at Sydney’s Macquarie University told The Associated Press. Mount Agung, located on the eastern side of the island of Bali, last erupted in 1963, spewing an ash cloud up to 12 miles (19.3 km) high, and killing 1,100 people. Anyone within a 7.5-mile (12.1 km) radius is urged to evacuate immediately. Evacuation centers have been set up in sports centers, village halls, and other structures. Nugroho said that the government is distributing hundreds of thousands of face masks and thousands of mattresses and blankets. Earlier this week, several townships had warning sirens built to notify anyone staying behind. The sirens will notify residents of a confirmed eruption.